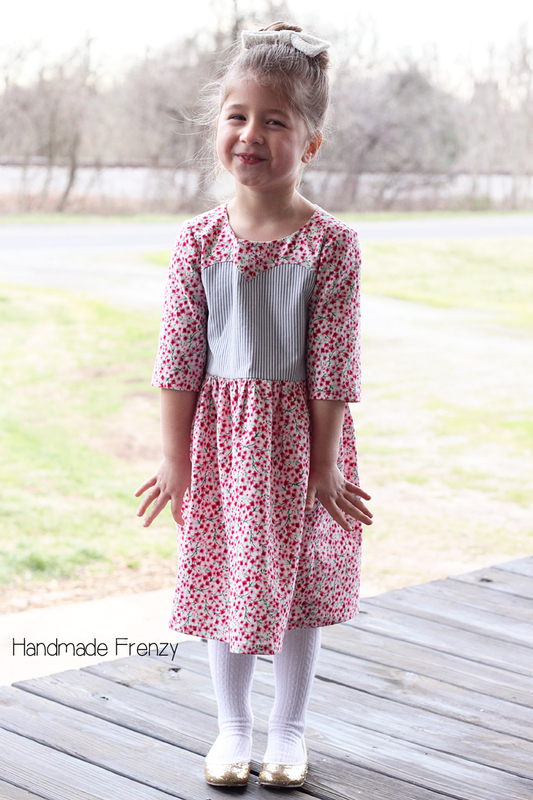 The Magrath Dress & Tunic is here!! Can you tell we are excited!? 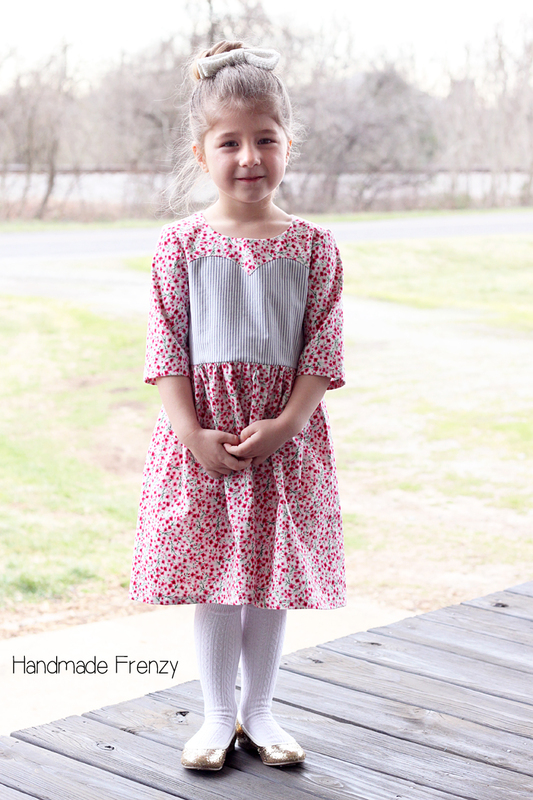 It's no secret that Abby's patterns are some of my very favorites. I've had the pleasure of testing several of them and it's always a wonderful experience working with her. 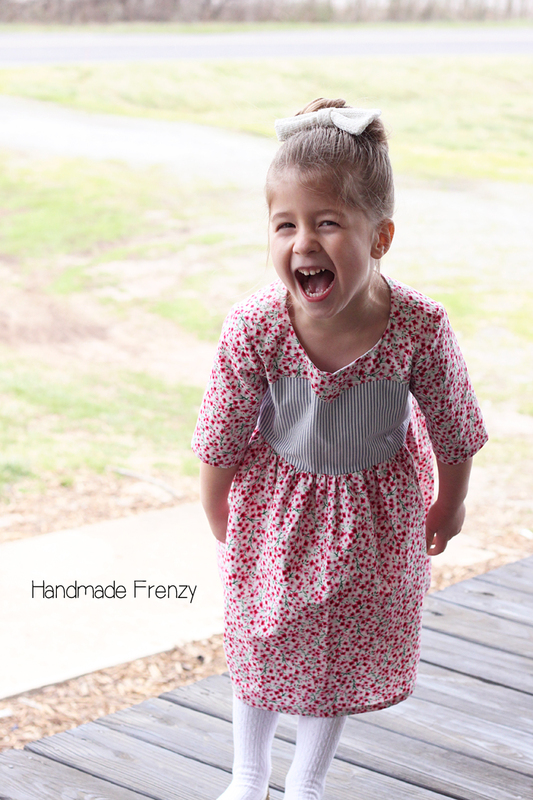 So I was completely thrilled to be able to test her newest pattern as well! 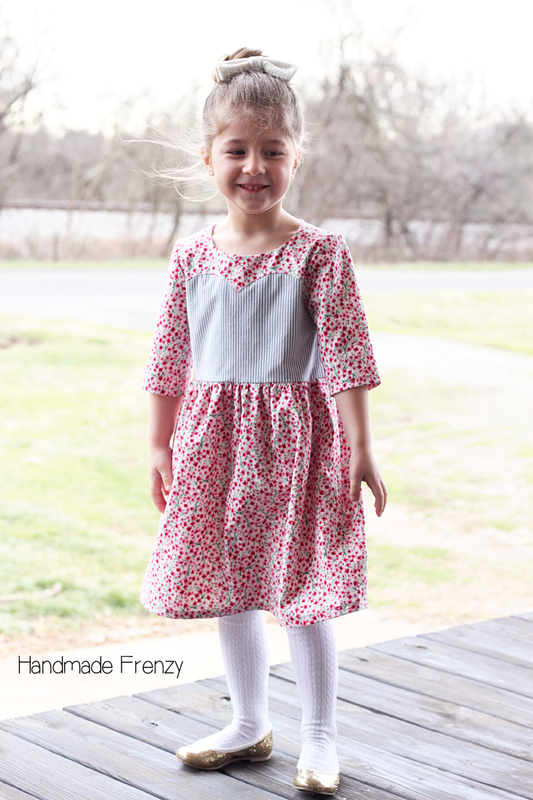 The Magrath Dress & Tunic comes in two lengths, dress and tunic (OBviously ;)), lined bodice, 3 sleeve lengths and 3 views. Sweetheart yoke and curved back piecing, or choose whether to keep the back or front solid. 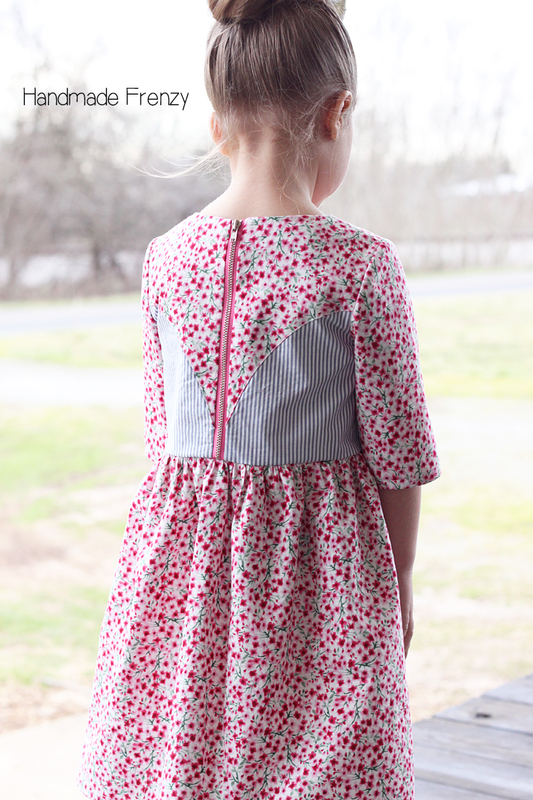 The back features an exposed zipper, which you can match to your fabric or contrast for a pop of color! There are so many options for mixing and matching your favorite fabrics with this pattern. I really want to copy all of Abby's versions! 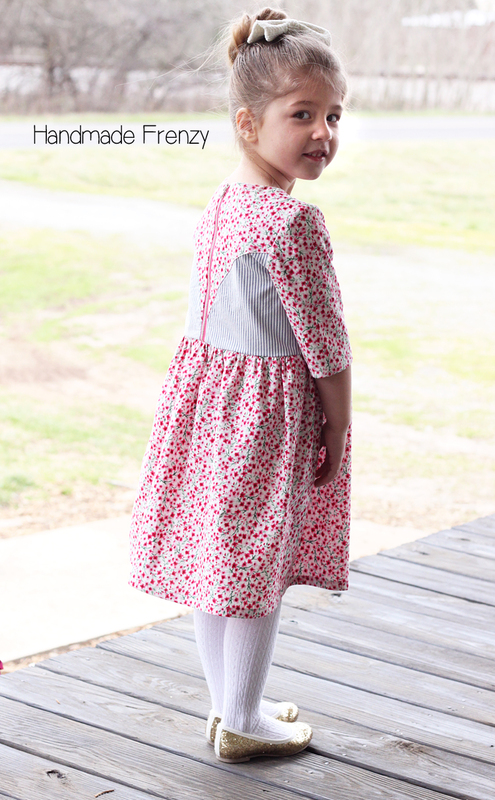 You can see a few of them here in the pattern listing and even more on her blog. 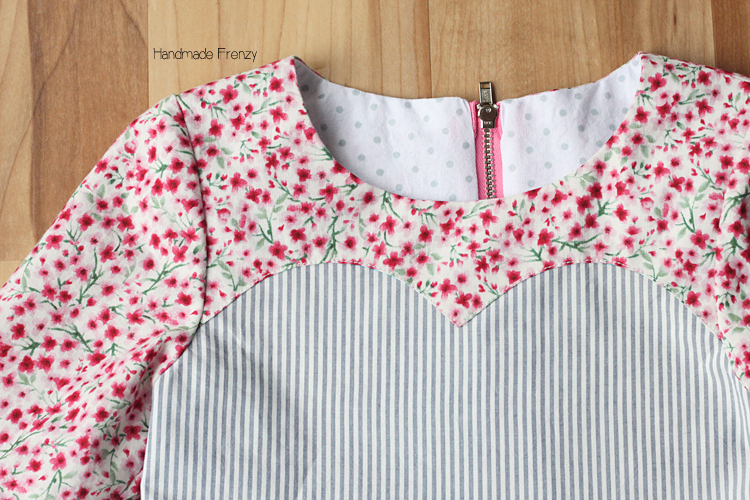 Ok, so let's dive into the details of the dress I made for my little lady! 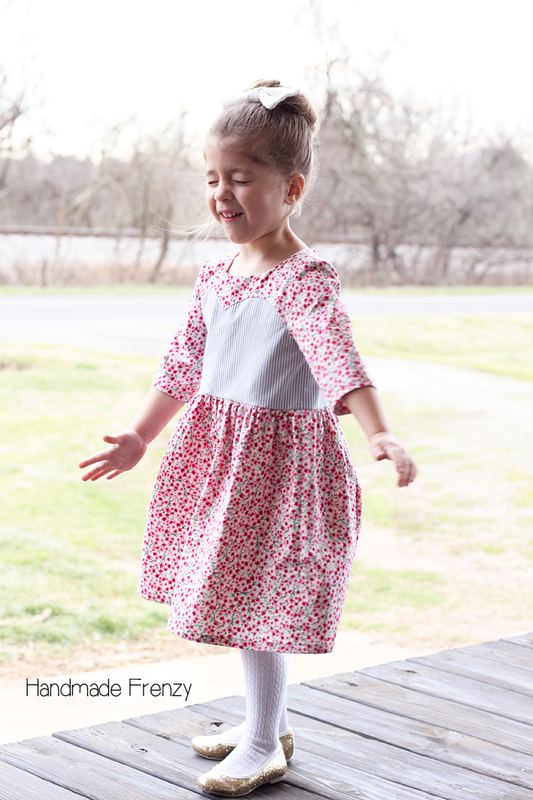 I made View A, dress length, 3/4 sleeves and kept the contrast pieces in the center of the bodice rather than the yoke and sleeves. 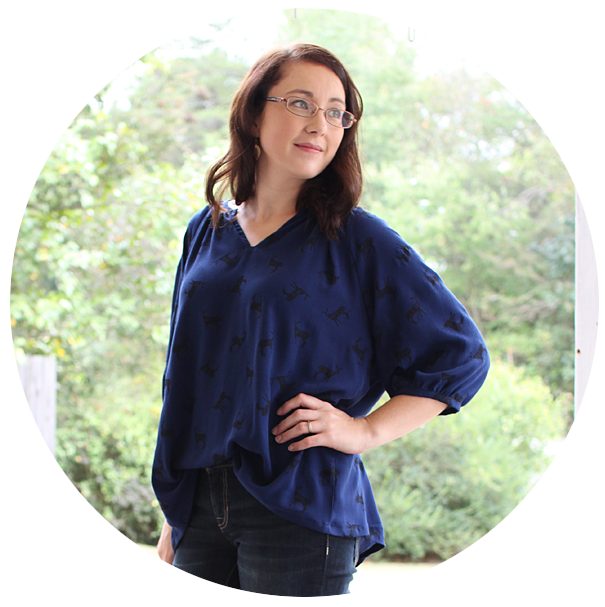 Both are so fun and I have a tunic version in mind with a contrasting yoke and sleeve that I can't wait to sew up! 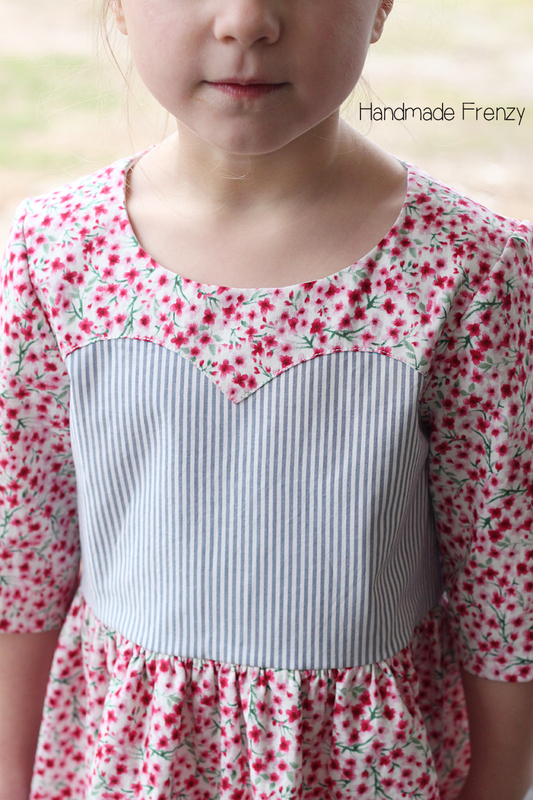 I made the size 4 for my 4 year old, based on her chest measurement. I'm very happy with the fit, I could have probably sized down in the waist (this is normal for her), but I just stuck exactly to the pattern for size and length. I like a little bit of growing room for these weed-like children of mine. The details of this pattern are amazing. And drafted in such a way that you will get a perfect result following Abby's instructions! I had no idea how I would get my point as crisp as Abby's, but she's got it all figured out!! And that zipper. AH!! I love an exposed metal zip oh so much!! And listen to Abby when she suggests using wonder tape. I got this puppy in perfectly the. very. first. time. Oh yes!! And a zipper with a lining, no problem at all with the way she has you construct it. As you can tell, my little model loves the dress. She's planning to wear it to church on Valentine's Day. Perfect plan! Go here to get your copy of the pattern at a discounted price for a limited time, in celebration of the release!! *Lining, specialty cotton, old. 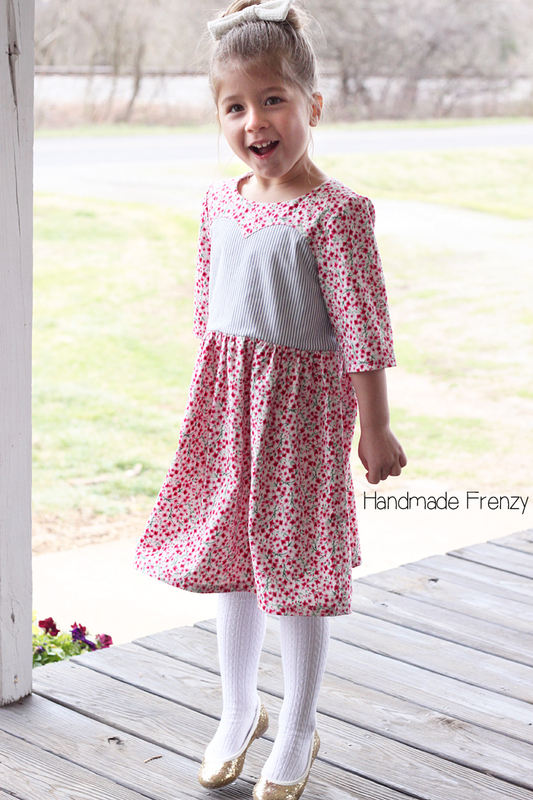 Floral, Keepsake Calico. Stripe, shirting. You already know how much I love your dress, but I'll say it again - I love it! Hehe. Thank you again for all of your help!!! This is so absolutely adorable!! How cute is she in her new dress! And that fabric pairing is perfection!! So darling! Love the pictures and how happy O is. This is so cute! I love that metal zipper! 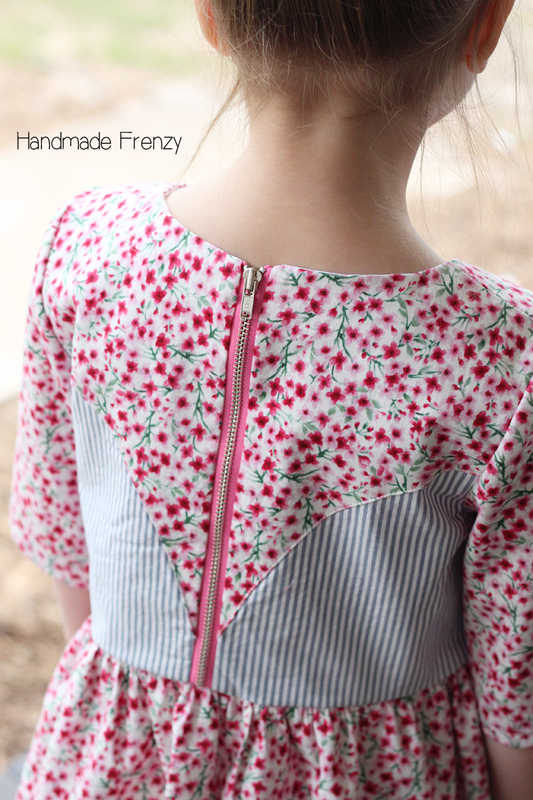 All the heart eyes for that zipper :) She is so darling in her new dress! This is my favorite version! 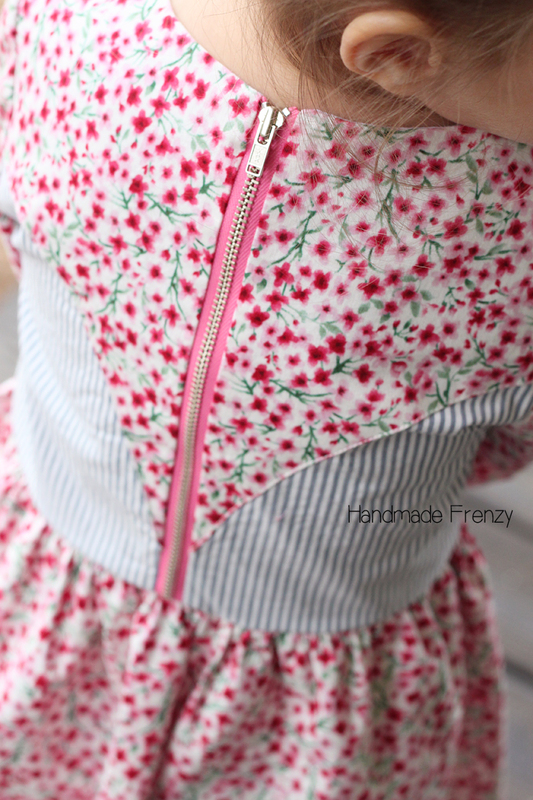 The floral and stripes and zipper all go so perfectly together. Amazing work. Such a gorgeous dress. How cute is your precious girl in it! That print pairing is spot on. So sweet!